It's Certainly A Nice Looking Bundle. We Think It's Silly Of SCEA To Not Adopt It. 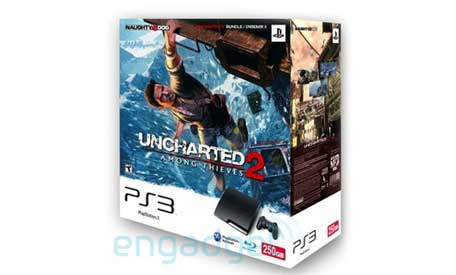 Namely a Playstation 3 (Slim) bundle including Uncharted 2: Among Thieves and a beefed up 250GB hard-drive. Ooooh. Sony America are completely denying the bundle, but that doesn't rule out the new box in Europe, particularly the UK where Uncharted 2, Assassin's Creed and Gran Turismo 5 bundles have been rumoured in the past. We'll see.